A Soundproof Window will reduce noise levels by upto 60dB. Our soundproof windows will reduce noise levels significantly which is not possible with dual pane or replacement windows. We can prove it! 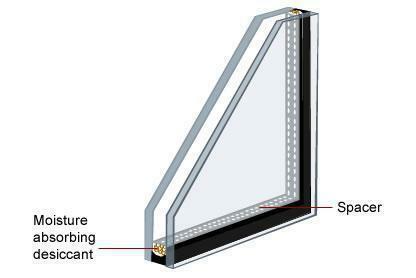 All soundproofing glass is tempered and toughened glass. Toughened glass is stronger and harder than standard glass and has almost twice the soundproofing abilities of standard glass. A single unit of 12mm thick toughened glass will usually provide upto 20 db of sound reduction. All soundproof glass consists of two panes of toughened glass separated by a spacer. The space between the two panes of glass is 80% vaccum to further improve the soundproofing abilities of the unit. A single unit of 28mm thick double glazed glass (10mm glass + 10mm spacer + 8mm glass) will usually provide 30 db of sound reduction. 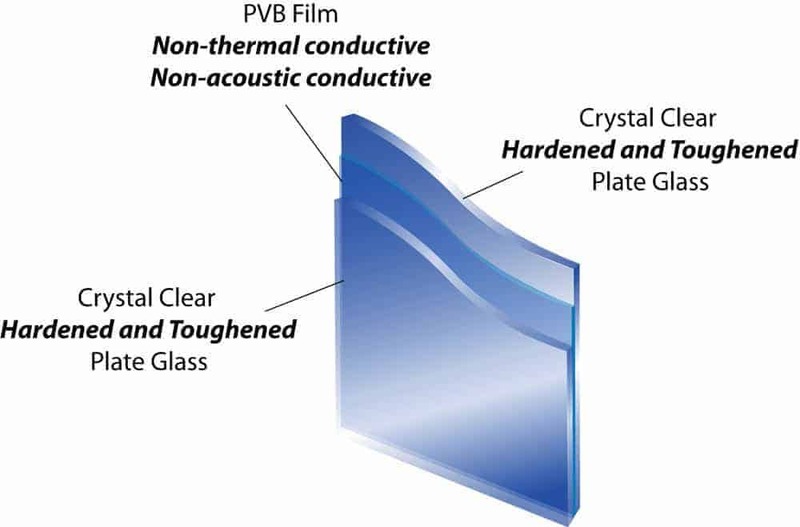 PVB Laminated glass is a special type of soundproofing glass that is made by sandwiching a laminated sheet between two pieces of tempered and toughened glass. The laminated sheet is usually polyvinyl butryl (PVB) sheet. The PVB interlayer material has viscoelastic property which helps in the reduction of sound acoustic insulation. This form of soundproofing glass has the best performance and is the most expensive. We recommend this for high performance applications like commerical recording and broadcast studios and nighclubs. A single unit of PVB double glazed glass (4 mm glass + 0.76 Acoustic PVB + 6 mm glass + 24 mm Argon gap + 6 mm glass + 0.76 Acoustic PVB + 8 mm glass gives 52 dB noise reduction. 1.52 Acoustic PVB – Rs 300 per sq.ft. 0.76 Acoustic PVB – Rs 200 per sq.ft. Insurance @ 2% and Transportation by Fedex extra. Handling Charges @ 0.50% and GST @ 18.00% Extra. Unloading will be in your scope. Glass Make – Saint Gobain. Cut-outs, holes, shaped glass or step glass available on request and will be charged extra as per actuals. Write in to us with your requirement for glass and will send you a quote.